Over the next few of days I’ll upload a couple more, watch this space! Entente Cordiale or Bulldog Spirit? The painting Entent Cordiale currently on display in Breed: The British and their Dogs seems all the more poignant today following British prime minster David Cameron’s EU referendum speech yesterday. The painting was commissioned to commemorate a series of political agreements between France and Britain in the early 20th century. It depicts an English and French bulldog, both British breeds. Entente Cordiale by Fannie Moody (Mrs. Gilbert King) 1861-1947. The Kennel Club. Last Wednesday Breed: The British and their Dogs finally opened. All those who attended, both canine and human, were captivated by the fascinating stories, wonderful objects and stunning graphics. Dog breeders from the Manchester Dog Show Society and beyond very kindly brought a selection of pedigree show dogs to meet visitors in the flesh. Rocky the bulldog was the star of the show winning the affection of the majority of visitors with his loveable personality. 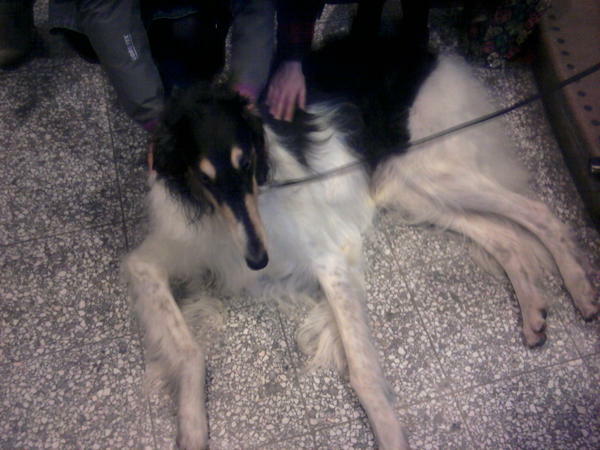 Borzoi at the opening of Breed. However, visitors were equally as intrigued and pleased to meet the other five breeds including Pekingese, borzoi, and the final three focus breeds I’ve yet to blog about, namely the Irish wolfhound, collie and bloodhound. These three breeds have enthralling histories associated with nationalism, colonialism, industrialisation and criminology! They typify and illuminate changes in British society over the past two centuries just as the Pekingese, borzoi and bulldog do. Breed: The British and their Dogs. Manchester Museum. The University of Manchester. 2012. 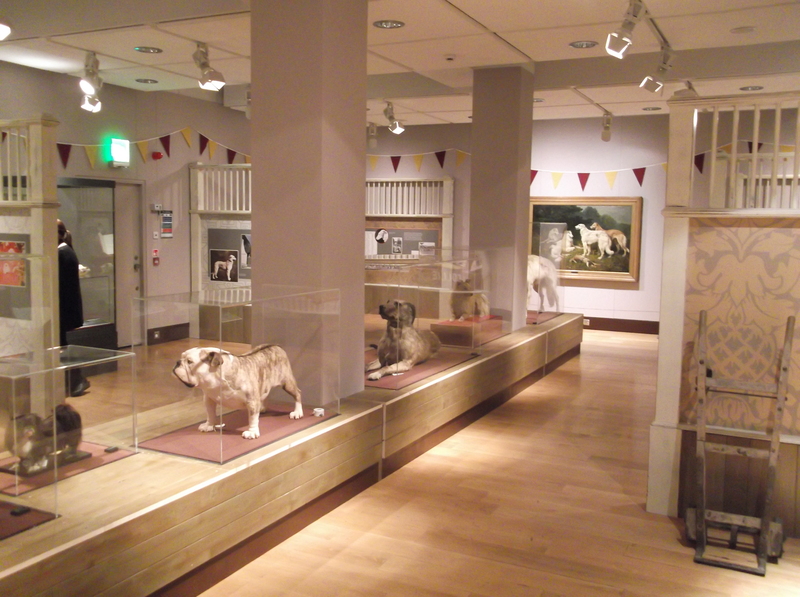 If you missed the opening do come along to the Museum this Saturday as the dogs and their owners will be back. They’ll also be several other dog orientated events going on throughout the day so don’t miss out.